And there she is. Damned she’s nice. I only hope I can keep her looking this sweet. Found this on Gumtree, it was a little more than I initially wanted to spend, but it’s great condition. Owned from new by a fair weather ride, who has kept it in a shed and only put 13K on the clock. I took a good friend along, whose been riding bikes for decades, to give it a once over and confirm there’s nothing dodgy about it. He told me to buy it quick, otherwise he would! Pretty scary really. 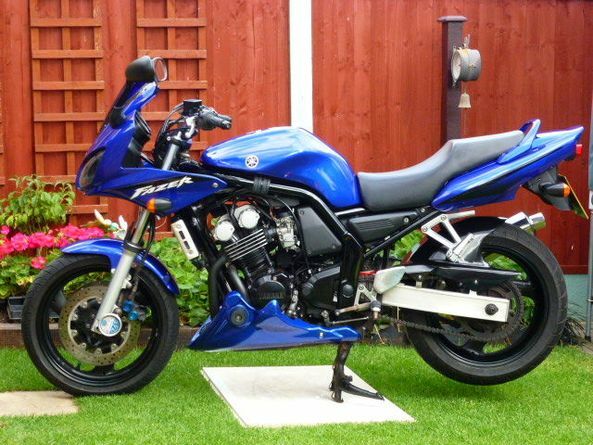 Don’t compromise for the sake of £100, when you’ve got a bike worth 10-20 times that. Yay, I’m half way through my DAS course after passed my module 1 today. For those not familiar with the DAS, it is split into two modules, the first consists of a series of manoeuvres around a car park; U-turn, slalom, figure-of-8, emergency stop and swerve at 50kph, etc. The second module is done entirely on the road, being followed my a DVLA examiner. I have spent the last day and a half practising these manoeuvres like mad in a car park with 1-Stop Instruction. The car park at their disposal is a lot smaller than the test centre and they pushed us to achieve the required manoeuvres within this tighter space, on a slight incline and at faster speeds. This made it tough, but rewarding and prepared me and my fellow student well for the module 1 test – blatantly, as we both passed first time. For me the U-Turn proved hardest, maintaining smooth clutch control throughout to get the right speed, not too slow as to lose balance or too fast to go wide. The two speed tested manoeuvres were a bit nerve racking. These involve an emergency stop and swerve after passing through a speed camera at 50 KPH (~31 MPH). The CBF500 could manage the stop fine, but too hard on the brakes and the ABS kicks in to prevent skidding. Safe, but unfortunately a fail on the test. The swerve really tests ones confidence and control of the bike. The bike needs to lean back and to in a smooth manner, more than I was initially at ease doing considering my lack of experience. The key is too look at where the bike needs to go, rather than at the cones. My test certificate had a couple of minor faults, one for lifting the rear wheel off the ground slightly on the emergency stop and one for handling of the bike when pushing it from one parking space to another. This latter one was because I had failed to find neutral on parking up (Doh! ), so had to perform the manoeuvre holding the clutch in to hide the fact… A pass is still a pass, so I spend the rest of the day practising the module 2 routes around the Enfield DSA test centre, going through places where previous students have been caught out. Nearly there now. 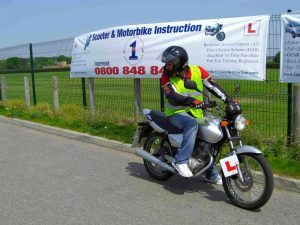 The first step in my journey to getting on a motorbike is the theory test. 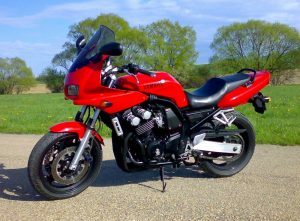 Although I have a full car driving license and undertook a theory test many years ago for that, I still have to complete a motorcycle specific theory test. 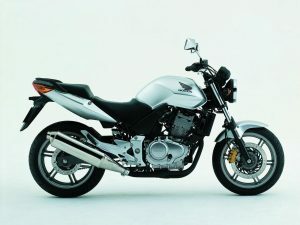 It is in fact very similar to the current car theory test but with the addition of a few motorbike specific questions. 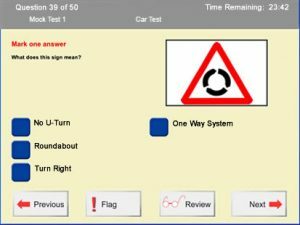 The test starts with a whole bunch of multiple choice questions, mostly general highway code stuff. Then followed by a short passage of text describing someone driving through various scenarios with a sequence of associated questions. Finally there is the hazard perception test, a series of short videos during which you must click the mouse button as soon as you see a hazards start to unfold on the screen. You are scored on the number you spot and how soon you spotted them. To revise for this test, I read the highway code a few times, run through a few sample tests on the DSA website and watched several sample hazard perception videos on YouTube. The test isn’t hard, but do prepare and read instructions carefully. 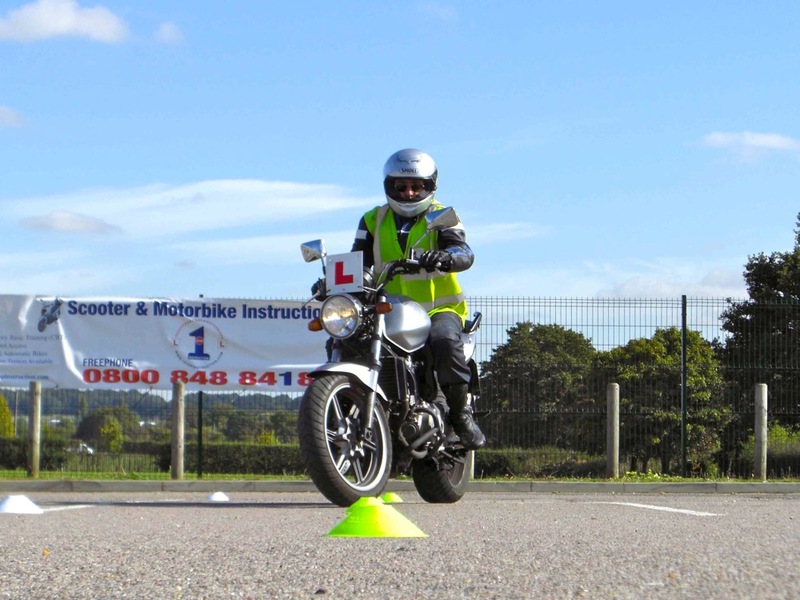 There is a real lack of motorbike specific practise materials out there, but so much of the car test is shared so ultimately it’s not a big issue. There are numerous places selling practice materials, but if you hunt around there is enough stuff free, like here. 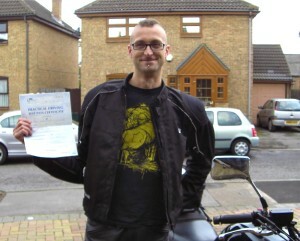 You need a provisional motorcycle license to book the test. You must take both paper and photo part of your license along to the test. After passing, your certificate will expire after 2 years. So don’t hang about completing the rest of your motorbike test.